It’s here, the long wait is over! 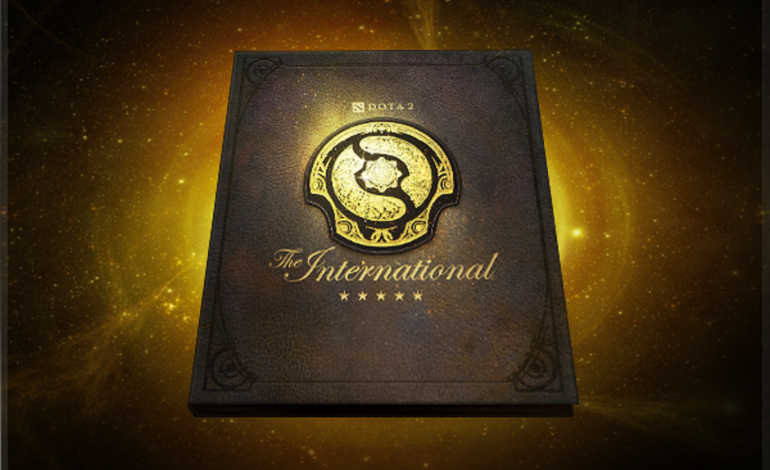 The International 5 Compendium has been released! And so begins the hype for The International 5. 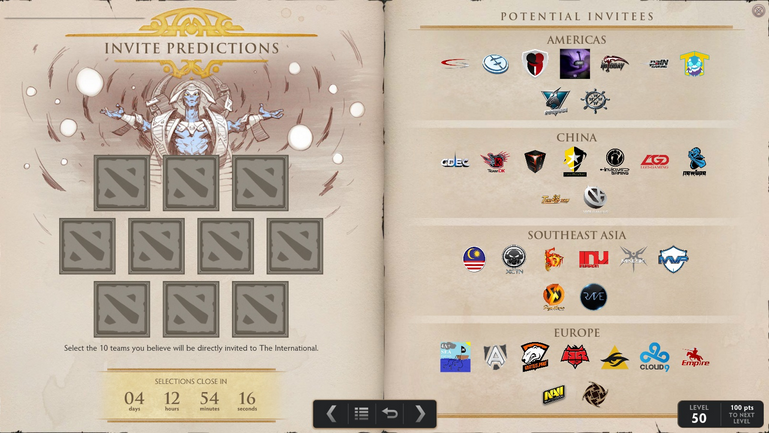 The release of the compendium signals the first event preparing for the Main event in August. Perhaps one of the most exciting current features of The International 5 compendium is the glimpse it offers into the potential invites. 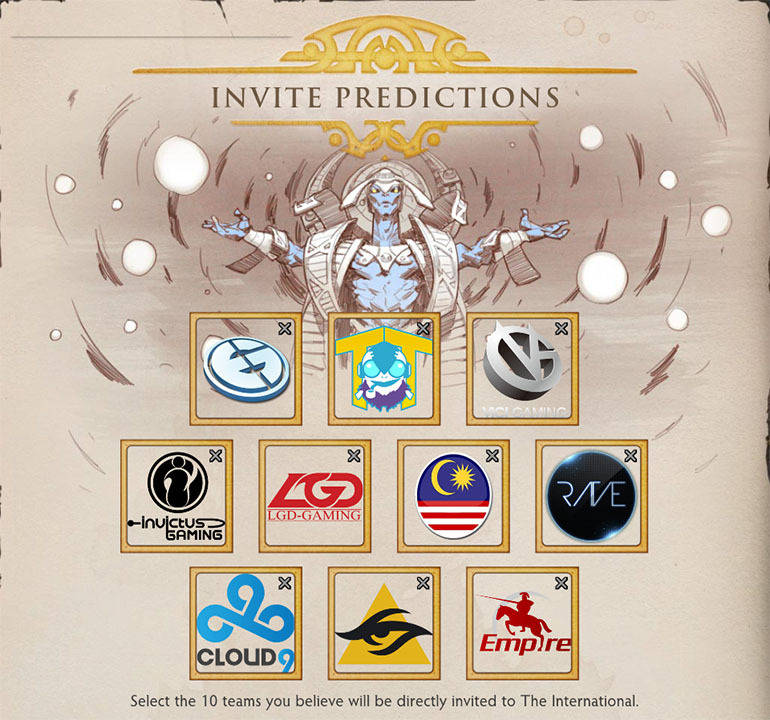 By allowing owners to vote for their TEN predictions, Valve has shown a few of the potential invites and how many of them are to be expected. Listed among the choices are defending champions Newbee, favorites Evil Geniuses, and newcomers such as 4ASC. With the event closing in just over four days, it leads to speculation that the invites will be announced next week. 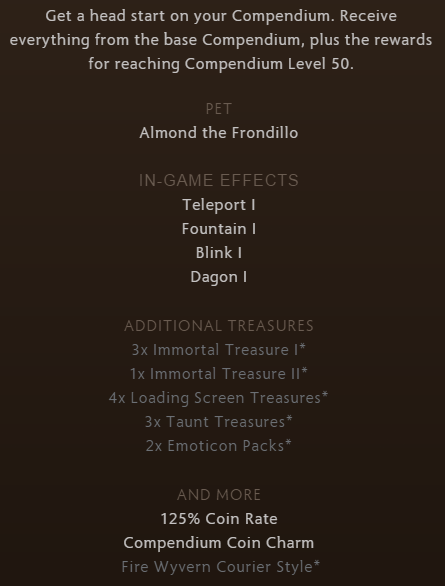 Each treasure contains one Immortal item and may also contain a bonus rare or extremely rare item. 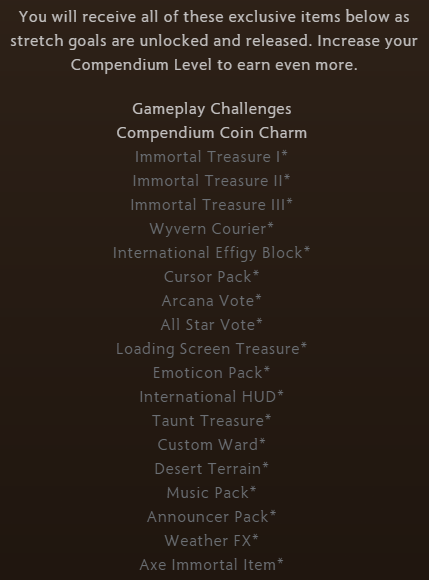 New for TI5, is the introduction of the COIN CHARM. Similar to last year, owners can purchase points to gain better rewards. A new way to earn more items, owners earn Compendium Coins by completing Coin Charms, finishing challenges, earning trophies, random drops, and predictions. All stretch goals are released as they are unlocked. This year’s compendium will cost $9.99 for the basic version. $26.99 for the option to purchase it already at level 50. The first TI5 compendium stretch goal starts at $2,000,000 and includes a cursor pack, with the last stretch goal listed at $15,000,000, featuring a Special Immortal Axe and Longform comic. 25% of all sales will be added to the base prize pool of $1,600,000. This includes compendium and points purchases. Last year, The International 4 prize pool was the largest in history, boasting a record breaking $10,931,100. The Dota 2 community contributed with a staggering $9,331,105 to the 1.6 million base prize pool. Certain community voices believe that Valve has gotten slightly greedy with the stretch goals. I'm happy TI5 only has 10 invites as opposed to TI4 (11) and TI3 (13) but I'd still prefer it be smaller, like 6-8 with more qualifiers. One of Valve’s biggest oversights is making the TI5 compendium not tradeable until May 8th and, more importantly, unavailable as a gift. There are dozens of media outlets, social media pages and other online businesses that are known to give away hundreds of TI5 compendiums on the launch date. They cannot benefit from the exposure now, and neither can the prize pool. Besides this, it’s very common for entire households or groups of friends to always fund a single Steam account and use it to buy compendiums. This will not be possible for another week, just in time for the secondary recipients to miss out on the invites predictions. Team direct invites and qualifier invites criteria and details have yet to be announced. There has been much speculation that the long awaited information will be delivered in the very near future, as it appears Valve is gathering and finalizing matters. To help make sure we have the latest 5 player rosters before direct and qualifier invites go out, please keep your in-game team up to date. Qualifiers are expected to be held the last week of May. The International is the annual Dota 2 tournament hosted by Valve Corporation. The International made its debut in August 2011, with a total prize pool of $1.6 million.The event will take place at the KeyArena, a multi-purpose arena in Seattle, Washington, with a maximum capacity of over 17,000. Last year, the Dota 2 community contributed with a staggering $9,331,105 to the 1.6 million base prize pool, making the total prize pool of almost $11 million the largest in eSports history. The International titleholder is Chinese team Newbee. As The International 5 is quickly approaching, the invite and qualifier criteria and predictions are on everyone’s minds. While Valve has maintained a tight lipped stance on the details surrounding their process of selection, a matter of speculation into the factors produces much discussion, debate and questions. Roster stability has been a significant factor in determining invites, in the past. In TI4, HEHE United’s last minute roster change cost them an invite to the qualifiers. Last year. for TI4, the debacle with Fnatic, Adrian “Era” Kryeziu, and Valve revealed how roster stability is, in fact, paramount. 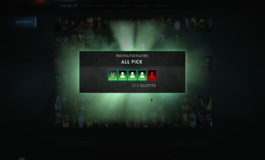 Following a meeting in 2012 with Valve, Toby “Tobiwan” Dawson said that the roster stability was of key importance specifically as it provides some certainty of a team’s performance and the quality of the matches. As roster changes are inevitable, much debate occurs as to whether it’s better for a team to change rosters based on internal conflict or performances, or be forced to keep stability for the sake of an invite. While some teams seem to be clear cut into who should get a direct invite based on stable performances through most of the year, others appear to be more on the fence. Teams such as Alliance or Natus Vincere – who have had a few months of sub par performances and roster instabilities, followed by a finalized stable roster with stronger recent performances – are clear examples of those teams in the grey area. On another note, what teams are you guys predicting will receive a direct invite?